My interest in the Canals of Indiana and Ohio have led me to Delphi, IN. This is the “home” of the Erie-Wabash Canal. It is the location of the Canal Park which is right on the canal. It is the only navigable part of the canal that is left. The park features an interactive museum detailing the history of building and maintaining the canal from 1828 to the 1870’s. Also it describes life in the United States during this period. There are lots of exhibits about living along the canal, what was transported, the different kinds of boats, and the people who worked on them. The museum has a wealth of information, displays, and hands-on activities that kids (and some adults .. ahem) love. Along with the museum there is a pioneer village that preserves several buildings that would be in a canal town. Alas, they are only open on weekends so I did not get inside, but peeking in the windows proved they are furnished to perfection. Also on weekends they have a real canal boat that you can take rides in. My education was improved, especially pertaining to Fort Wayne, which is my home base. I’ve lived there for 35 years and I knew it ran through Fort Wayne, but I never knew that the groundbreaking for the Canal was there. And the opening of it was also there, at the Settlers House, a Summit City landmark. There are several walking trails along the canal and through Delphi which point out historical sites. They all interconnect to form a trail system of 10 miles. I went to Sunset Point where the Wabash River intersects with Deer Creek. The canal went over the creek here to bypass the river. I find the lives of the people living on the canal and working on it to be fascinating. Like the fact that sometimes men would flag down a passing boat at suppertime, jump on, eat the meal, and then get off so they wouldn’t have to pay a full fare. I have developed a “research itch” about canal life. And that can only mean there is possibly will be might be a book in the future. 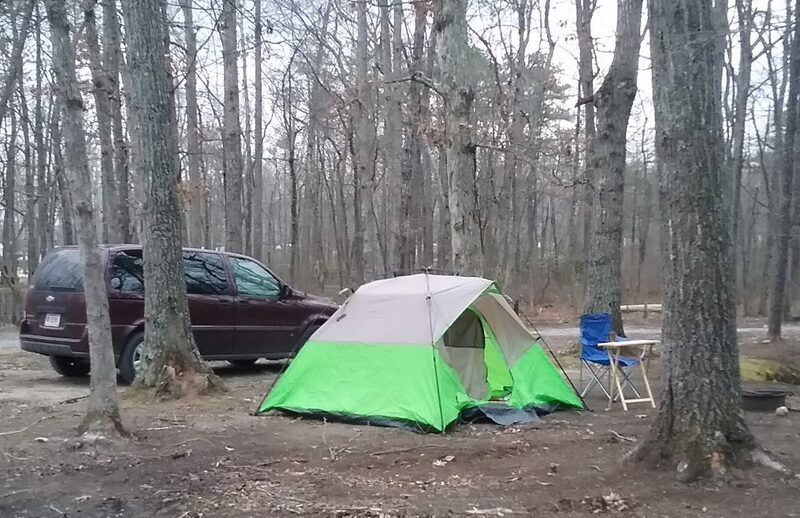 One of the best things about the park is that they have a camping area. With free wifi – bonus! The camp hosts were wonderful. Told me all about the place, and even came over to tell me there would be someone coming in at 11 pm, so that I wouldn’t be worried since I was the only one there at the time. So if you’re thinking that Indiana doesn’t have much, (besides corn har har) think again. And go exploring! Last week I attended a family reunion for my paternal grandmother’s descendants. We do this every two years in a different location. This year we all met in Dayton, OH which was where Grandma Emma lived and raised her family. She had four boys All the original sons have passed, so my generation of cousins and their families are the group. We started the reunion with a dinner. We love to eat! The next day we took a bus tour of Dayton, seeing the houses, churches, and schools that we all heard so many stories about. Then we journeyed to Ripley, OH, on the Ohio River, which our great-great-great? grandfather helped build. We toured the Rankin House where his family lived after the Civil War. But BEFORE the Civil War, John Rankin lived there. He was a minister, but the reason it’s a historical landmark is that he ran his house as a major station on the Underground Rail Road. Among other things, he left a lamp burning in the living room window for years. It was to let slaves trying to get to freedom know that the house up on the hill was a safe place. This tour was fascinating. Howard, the guide, was a talented storyteller and he really made the history come to life. After that we gathered for another dinner. The last day we spent at various venues. My daughters family and I played at an entertainment center that had games like Chuckie Cheese, as well as go-karts, bowling, mini golf, virtual reality games (my grandson spent a half hour on Fortnite), and my favorite – Skeeball! Other people went to a brewery, and an Air Force Museum. That night we attended a Dayton Dragons baseball game. They’re a minor league feeder team for the Cincinnati Reds. They lost, but we sure had a great time. After the reunion, I decided to return to one of my favorite places, Hoosier National Forest in southern Indiana. I camped for a few days and relaxed. eing an introvert, the past two weeks have been a bit over stimulating. *the first one was given up for adoption (long story, maybe a later post) and he found us later on. This past week I spent five days helping a group of volunteers repair houses in the Birmingham, AL area. The group I went with is from Fellowship Missionary Church in Fort Wayne. The organization they work with in Alabama is Next Step Storm. This organization is faith-based and the family that runs it is originally from the Fort Wayne area and are associated with Fellowship. Next Step works with people whose houses have been damaged by natural disasters, like tornados or hurricanes, and those whose “storms” come from life situations like poverty. The storm in the name is an acronym – Severe Tragedy Outreach Relief Ministry. Monte and Kim Brenneman run it along with their children. They are wonderful people, full of generosity and kindness and love. My week was spent at the houses of two different clients. We cleared the yards, repaired some of the walls, pulled down vines and bushes, scraped the houses, and then painted them. Hard work, but oh so good for the soul. I found out that I could (more or less) keep up with the men who did most of the job. I also spent some time talking to the clients, listening to their stories, and sharing some of my own. Here’s a painter crew: Stephanie, Me, client Deborah, and Janet. Volunteers with Next Step Storm come from all over the country, mostly groups from a different church each week. Our small band included all ages from high school to retirement. We stayed in a “camp” that is a large property that includes a building containing a lounge and eating area, rooms full of bunk beds, and bathrooms with showers. There is a small kitchen where volunteers cook our meals and prepare the food for our sack lunches. I really thought I might lose a few pounds over the week, but those ladies can cook! The site also has several buildings for storage and a fleet of trucks and trailers. There are several traditions that are observed at camp; one is signing your bed. Along with the work there is time for fun. We went out as a group for dinner, one night was movie night, and one evening we had guests: neighbors and clients past and present. One of the ladies, Miss Effy, was a gospel singer and played the organ for a sing-along. The lounge has lots of games for entertainment. The highschoolers kept a continuous Monopoly game going all week. The Brennemans welcome all volunteers, including youth groups. If you belong to a group who might be interested in volunteering for a worthwhile cause, I strongly suggest you check Next Step Storm’s website. They would be happy to include you. Recently I helped my older daughter move into a new place. She lives in Cincinnati in one of the named neighborhoods. Cincy has several that are quite distinct from each other. She lives in Northside. Northside is situated in the north west corner of Cincinnati. It is an old neighborhood, dating back to the early 1800’s. The houses and buildings reflect its history. It started out as the first commuter neighborhood of the Queen City. People from all over the area flocked there for fashionable clothing, beer gardens, and flowers. It was a part of the Underground Railroad. The Crosley family (Crosley Field was the name of the original baseball stadium for the Reds) got their start here. It thrived for decades, but eventually it fell into disrepair. In the 1990’s the Victorian houses began to be renovated. There are flowering trees lining most streets and you can almost imagine it being 1890. The “downtown” or business section is a mixture of business and pleasure. Along with clothing stores, groceries, and medical offices, there are coffee shops, and restaurants, several offering live music in the evening. There is a garden coop for anyone wanting to grow their own healthy food. And a bicycle coop where you can rent bikes. The rest of the neighborhood is made up of townhouses, 99% of which are Victorian. Some are single family, some are duplexes. There is also an old school building that has been converted into apartments. Some of the corner stores that have been abandoned are being converted also. The essence of Northside is progressive. In the 1990’s people started moving into the area who were creatives. Writers, artists, and craftspeople found the older houses to their liking. They refurbished them and now the homes are stately again. Young professionals have found it again to be an easy commute to downtown Cincinnati. It also has become a welcoming place for the GLBTQ community. Buildings have been painted with murals. There are signs all over advertising shows and concerts The local food coop has hundreds of members. And its all extremely pet friendly. You can take your dog into stores and the library. Citizens of the neighborhood are proud of their location. The online newspaper , the Northsider Monthly, has profiles of business owners and influential persons, along with historical information. I really love the atmosphere of Northside. In fact, I’m thinking about incorporating it into my next novel. We shall see. Today I spent two hours wandering through a cave. I have wanted to visit Mammoth Cave for- well forever I think. I remember learning about it in school and it’s been on my list ever since. The reason it’s called Mammoth is because it is the longest cave system in the world. 412 miles! Now, this doesn’t mean a looooooong tunnel. No, it’s got several layers of corridors that wind around like a river. Caves are formed by rivers, after all. My tour ( which is one of several different kinds) was two hours long, covering 2 miles. I chose the Historic Tour. Because…history, duh! The entrance we went in at is the original one, used by tourists for almost 200 years. You can’t use flash photos inside the cave so I didn’t get a lot of shots. People wrote their names on the walls and ceilings back in the day. Of course, you can’t touch the walls now. This was a tube that went up 3 stories. We also crossed a “bottomless” pit but I was concentrating on getting over the bridge so no picture! Several parts were actually kind of fun. The section called Fat Man’s Misery was so narrow I had to walk sideways to get through. And even short little me had to stoop to get through a few areas. Ranger Jenna was our guide and she was great. She is trained as a geologist, and told us lot about rock formations and such. But she also knew the history of the cave very well. The museum in the welcome center was fantastic. Lots of facts, history, and nature. Now if you’re thinking of seeing the caves, I would suggest you pick a tour that fits your capabilities. Some are very strenuous and go through hard to navigate areas. One is 4 hours long. They have one for kids wanting to know about spelunking, too. So, something for everybody. From the peanuts in the south to the rockets in the north, Alabama was an interesting state. First stop was in Dalton, where the George Washington Carver Interpretive Museum is located. The museum was fascinating. Not only is there a comprehensive history of Carver’s life, but there is lots of information on other African-American inventors. Dalton is known as the peanut capital of Alabama. Their city has peanut statues all over. Cute. Alabama is a long state to drive through. Cattle ranches and farmlands give way to hills and then some mountains in the far north. I stopped in Huntsville, to visit the U.S. Space and Rocket Center. Wow! What a great museum. There are real rockets on the property. I’m talking 30 stories tall. The Saturn program was built here and an entire building is devoted to that. I saw a National Geographic movie on the history of man’s desire to go into space, starting with Icarus. it was in 3-D; enjoyed that as well. The center has all kinds of “rides” and interactive exhibits. A G-force simulator, a lift off simulator, a hyper drive ride, and a Mars rock climbing wall. I did not do any. Wandering around the exhibits took up all my time. An interesting idea is that there are retired NASA employees on hand to answer questions and explain things. Jekyll is one of the barrier islands along the Georgia coast. It has a long and fascinating history. In colonial times it was owned by a man who built Georgia’s first brewery. Then in the late 1800’s it became one of the most exclusive resorts in the country. A group of families bought the island and built a “clubhouse,” which is now a grand hotel. Only 100 people were accepted into this club and only the wealthy could afford it. Some of the names of members were Vanderbilt, Morgan, Rockefeller, Field ( as in Marshall Field’s), Goodyear, and Pulitzer. World War II brought an end to the club as the island was ordered to be evacuated for security reasons. The state of Georgia then bought it and turned it into a State Park. They have preserved many of the buildings and houses that the Jekyll Club members built. I did the walking tour around the historic district. The Federal Reserve was created on the island in a clandestine meeting of financiers in 1910. They secretively took a train to the island and spent a week hashing out the details of new currency regulations for the country. None of the employees were allowed to know who these men were, so they used aliases. The island has several beaches, some of which have interesting landscapes. The movie Glory was filmed in part on one of the beaches, now known as Glory Beach. Along with the history discoveries, a highlight of my stay was a boat tour. The purpose of the tour was to see dolphins. Bluenose Atlantic dolphins live in the waters surrounding the island. They sure were fast whenever they came up for air, but I did manage to get a few pix. The tour was a lot of fun. The captain played music throughout the trip with some special songs. The trip started out with the theme song from Gilligan’s Island. Although thankfully OUR tour was only one and a half hours. Then at the first sighting of a dolphin, he played the theme song from Flipper. Running commentary included a lot of island history and points of interest. I stayed at the campground so I could explore the area. This place has something I had never before seen. There are a lot of snowbirds here, and each one has a sign post with a sign that has the state where they are from. Cute idea! The island is on the Intercoastal Waterway which is part of the journey known among boaters as The Great Loop. It runs up the eastern seaboard to the St Lawrence Seaway, across the Great Lakes, and then down the Mississippi River and back to Florida. People travel it on a regular basis and are called Loopers. The island has many other attractions, such as a water park, a 4-H camp, golf courses, and a 20 mile bike/walking pathway that goes around the perimeter. There are lots of shops and restaurants. I ate a lunch at The Wharf and had a crab cake BLT that was delish! Although the entire island is designated a state park, there is a thriving town with year round homes in the middle of it.